Have you always wanted to perform 'Which Hand' with confidence? Read on! More than three times as powerful as its predecessor, this tiny device allows you to perform a variety of beautiful mind-reading effects including the classic, 'which hand.' Place the sensor under your watch strap and a silent vibration will let you know in which hand a volunteer has hidden a magnetic coin. Sixth Sense 3 now works with all magnetic currency, even smaller coins like the US quarter! You challenge a volunteer to a simple guessing game. They hide a coin in one of their hands, and you guess which one it is in. If you get it wrong, they win $100. Playing just as well in a casual environment as to an audience of thousands, this is only one of a number of possible effects that can be performed, from predictions to multi-spectator routines. Any magnetic object can be used: coins, PK rings and more. We have upgraded the device to detect all kinds of magnetic currency, even smaller coins such as the US quarter or UK 10p. No need for a separate receiver - Sixth Sense 3 silently vibrates to alert you that a magnetic coin is within range. Each vibration motor has been hand-selected to ensure quiet and reliable operation. 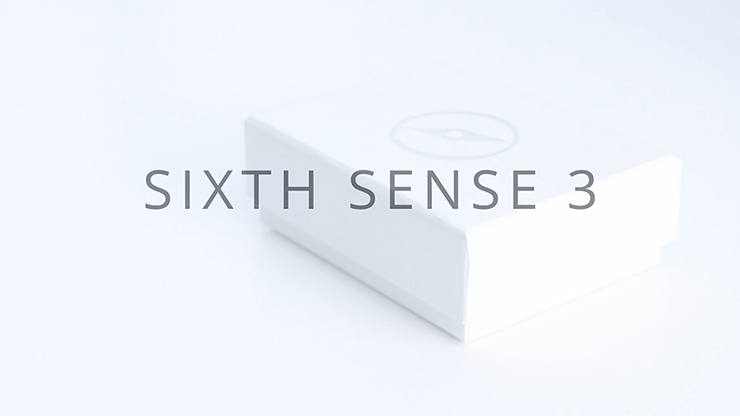 Sixth Sense 3 can be charged from any USB socket and has more than 6 hours of battery life. Customize your device with an optional iOS app that allows you to change the strength of the vibration, boost the range and more! Don't have an iPhone? Change the settings using the button on the device itself. Using the app, it is possible to double the normal range of the device! This means that for larger coins like the magnetic half dollar, a 30cm+ range can be achieved. By placing the device in a belt loop or attaching it to a chest strap under your shirt, it is now possible to perform 'Which Hand' by simply walking up to the volunteer. No hand movements. No palming. No sleeves. This elevates the effect into the realm of the impossible, but it does take practice - boosting the range in this way is recommended for experienced users only! Please note: A magnetic coin is not included with this device! Theatre Effects Pyrowizardâ„¢ Flash Paper Sheets - 4 sheets 8"x9"
Wie immer alles top. Superschnelle Lieferung.